Get out of ‘auto’ mode and harness the potential of your creativity. Learn how to take great photos, relax and have fun at Coteau des Prairies Lodge! 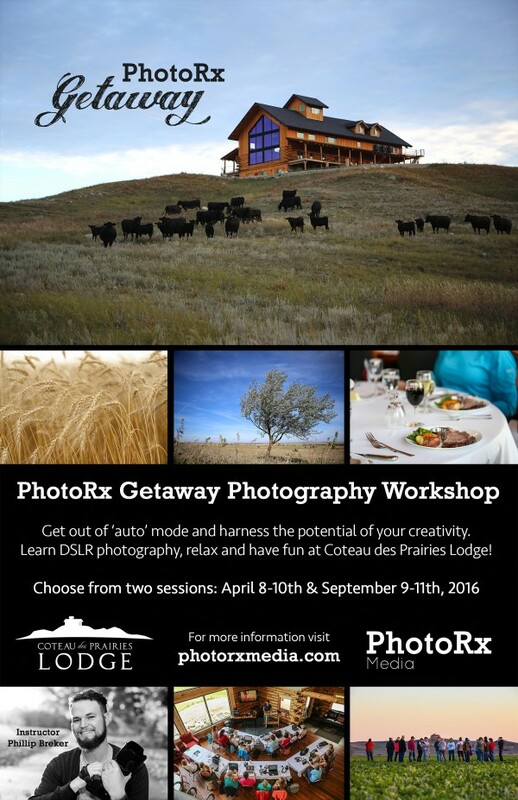 On April 8-10th, Phillip Breker from PhotoRx Media will be holding a three day photography workshop at Coteau des Prairies Lodge. This workshop is geared towards beginners and amateurs in photography. If you have a DSLR camera and you love to take pictures but you can’t seem to move the dial out of ‘auto’ mode, this event is for you! You will receive both ‘classroom’ and ‘field’ instruction. You will gain new knowledge and put it to use instantly at a picturesque location. Learn how to take great landscape and wildlife photos, portraits and architecture shots and more! Master your camera and unleash your creativity! But it will not be ALL work. You will also have plenty of time to relax, enjoy time with your friends and experience unique dining and rustic, yet refined private accommodations. This special package will include a two night stay at beautiful Coteau des Prairies Lodge, all meals (including a special lodge dinner on Saturday night), an exclusive farm tour, a hands-on photography clinic and more. The April 8-10th session is scheduled during the anticipated spring waterfowl migration when we expect to see thousands (or potentially hundreds of thousands) of light geese on Lake Tewaukon. 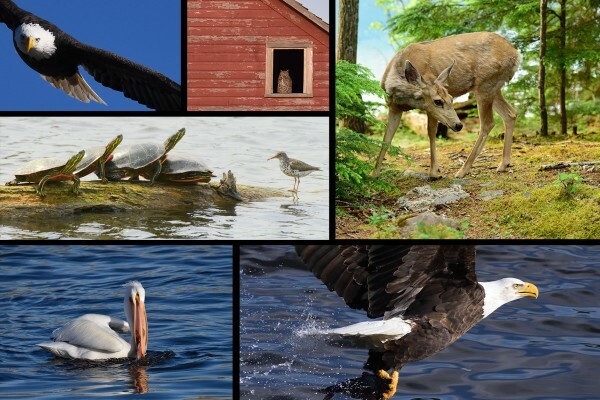 As a part of the April session, there will be a special wildlife photography mini-clinic featuring guest instructor Mark Pfeifer, a photography professional specializing in wildlife photography. For the April session, the farm tour will be more of a wildlife tour. The price is $525. For a single room, add $175. To begin the process of reserving your spot, fill out the contact form here, then Phillip will follow up with you to collect payment. If you would like to contact Phillip directly, you can reach him at 701-371-7227 or email him at phillip@photorxmedia.com. 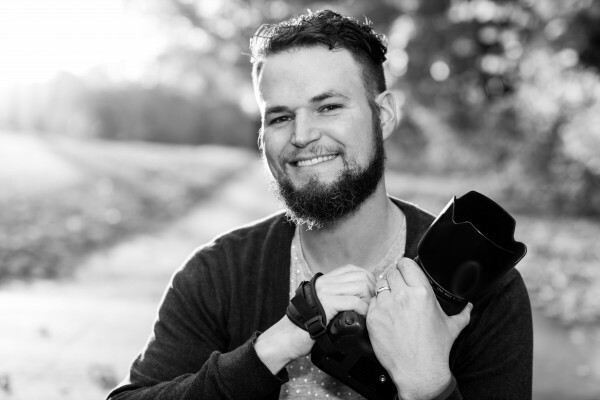 Phillip Breker is the owner of PhotoRx Media, a media production company based out of Plymouth, MN. Phillip grew up on the Breker farm near Coteau des Prairies Lodge and he worked cattle and fixed fence every year in the pasture where the lodge is located. He resides in the Twin Cities with his wife Lindsey and eight children and works as a pharmacy manager at Lunds & Byerlys Pharmacy (hence the name PhotoRx Media). Phillip frequents North Dakota for events and photo ops in his role as director of events and marketing at Coteau des Prairies Lodge, his family’s business.